It seems unlikely that a place as far off the beaten track as Aiken, South Carolina, would become the preferred wintering location for the denizens of New York society. But from the late 1800s, the most recognized names in America�the Vanderbilts, the Whitneys, and even the Roosevelts�began coming to this charming Southern city to escape the cold, relax among the oaks, and play. 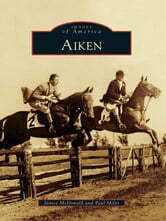 And play they did, establishing Aiken as an international polo capital and a premier place to ride, hunt, and golf. Aiken has so much history beyond the folks known as the winter colonists. Legends of the area�s restorative powers date back to Native Americans. Aiken also boasts an amazing number of records, including the destination for the world�s longest railroad in 1833 and the second-oldest 18-hole golf course in the United States, the Palmetto Golf Club, built in 1892.